(RT) — Goldman Sachs’ stock price jumped to levels not seen since before the financial crash, thanks to President-elect Donald Trump’s announcement of his intended Treasury Secretary, Steven Mnuchin, a former Goldman exec and hedge fund manager. On Wednesday, Goldman stocks leapt to $220.77, up from Tuesday’s price of $211.76. This is the highest level since December 2007, according to Reuters, with Deutsche Bank increasing its price target for Goldman stocks from $180 to $255. 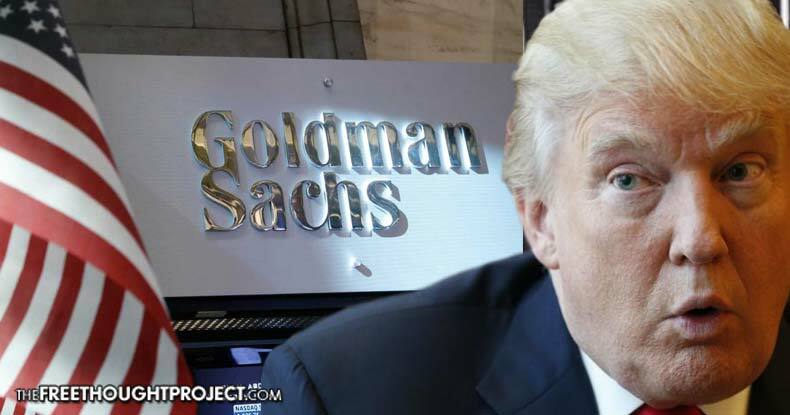 Goldman Sachs, along with other Wall Street firms, have already enjoyed a boost to their stocks as Trump’s win in the presidential election suggested an easing of tax and regulations for big banks and corporations. Mnuchin isn’t the only Wall Street insider headed for Trump’s administration. White House adviser Steve Bannon enjoyed a long financial career at Goldman Sachs before turning to right-wing media outlet Breitbart. Anthony Scaramucci, a member of Trump’s transition team, also worked for the bank, and Trump is reported to be considering Goldman Sachs president Gary Cohn for the Office of Management and Budget.